William Keeton is a Professor of Forest Ecology and Forestry at the University of Vermont’s (UVM) Rubenstein School of Environment and Natural Resources. At UVM he is Chair of the Forestry Program, is a fellow in the Gund Institute for Ecological Economics, and directs the Carbon Dynamics Laboratory. He serves on the governing board for the Institute for Environmental Diplomacy and Security, IUCN’s Commission on Ecosystem Management, and the advisory board for Science for the Carpathians. Dr. Keeton received his BS in natural resources from Cornell University and his Masters in conservation biology from Yale University. He holds a Ph.D. in forest ecology from the University of Washington. 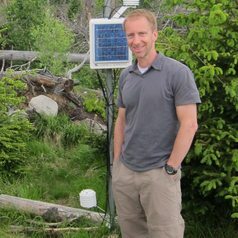 His current research focuses on forest carbon dynamics and management, climate change impacts, bioenergy, disturbance-based silviculture, late-successional forest systems, forest-stream interactions, and forest biodiversity. Dr. Keeton recently served as a Fulbright Scholar in Ukraine and as a Guest Professor at the Austrian University of Life Sciences and Natural Resources.